Kentucky Equine Research has released information about the long-term effects of how you feed mares during pregnancy. Problems associated with excess body condition are well known among horsemen and include insulin resistance, laminitis, osteoarthritis, and exercise intolerance. Recent research also shows that the health of offspring of overweight mares may also be compromised. Studies show, for example, that excess maternal nutrition during pregnancy can alter glucose and lipid (fat) metabolism in foals until 160 days of age, and another study reported a higher incidence of osteochondrosis (OC) in foals born to dams that were fed concentrates during gestation rather than forage only. • The testicles of yearlings from forage-fed dams were less mature than those from broodmares fed both forage and barley. “This research also found that when yearlings were overfed between 19 and 24 months of age, up to approximately 135% of NRC energy requirements, overfeeding negatively affected yearlings from mares fed barley and forage more than yearlings from broodmares fed only forage,” explained Kathleen Crandell, Ph.D., a nutritionist for Kentucky Equine Research (KER). Specifically, decreased insulin sensitivity and enhanced insulin levels suggestive of insulin dysregulationwere observed in yearlings from mares fed both barley and forage but not yearlings from forage-only mares. *For references click through to the full article. Excellent brands need fans worldwide. Westfalen horses and ponies are well known all over the world, with famous stallions such as Florestan I, Pilot and Cornet Obolensky, and superstars in sport like Damon Hill and Comme il Faut. In North America, the RPSI registry has been inspecting, branding and registering warmbloods and ponies since 1995, and offering the most extensive inspection tour available. Beginning in 2017, the RPSI and Westfalen Verband will join forces to develop a worldwide breeders’ association, inviting more breeders to become a part of the famous horse breed Westfalen. 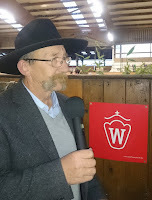 The new Westfalen NA/RPSI brings new opportunities for breeders, while keeping the same wealth of experience and expertise from stud book director Otto Schalter, and the same great customer service and breeder-centered marketing programs from the RPSI office. The 2017 inspection tour will remain the most extensive in North America - reaching practically every corner of the USA and many parts of Canada, as well as offering some private on-farm inspections from Dr. Andrea Sieg. As before with the RPSI, Westfalen NA passports will be produced in Germany and are WBFSH sanctioned, but now the breed-name will be Westfalen. All foals and horses receiving passports will also be DNA typed and microchipped, and all foals will be issued a complementary USEF lifetime number. The Westfalen NA / RPSI will continue to inspect Warmblood mares/stallions from other accepted WB breeding organizations, as well as TB's, Arabians, Anglo and Shagya Arabs. As before, German Riding Ponies, KDR’s, Haflingers and Knabstruppers will also be eligible for inspection and registration. The RPSI will continue to proudly support all the Zweibrücker and Deutsche Sportpferd horses and ponies registered with the RPSI over the past 20 years with our great awards programs, as well as ownership changes and duplicate passport requests. And we're looking forward to celebrating our N.A.-bred Westfalens with a superb awards program as well. 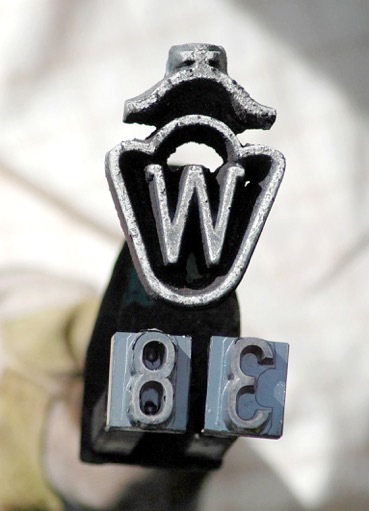 Now foals registered with the Westfalen NA/RPSI will receive the esteemed W brand of our parent organization, proudly carrying the mark of quality and market-appeal! The Westfalen Verband (Westfälisches Pferdestammbuch e.V.) has been promoting breeding excellence for well over 100 years, developing bloodstock that excels in show jumping, dressage and eventing. 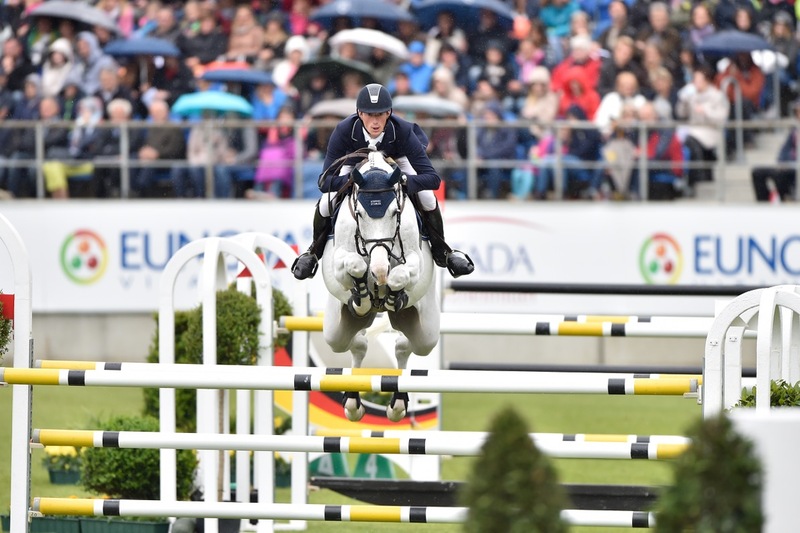 What better representative of the breed than 2016 World Cup Champion Corbinian with rider Steve Guerdat, or Ravel under Steffen Peters! The RPSI is looking forward to implementing new programs and promoting NA-bred Westfalen horses just as effectively as their German-speaking cousins! 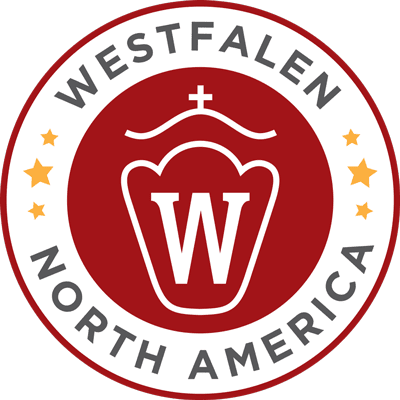 Top genetics are at your fingertips, along with access to the expertise and Old-World symbol of excellence in breeding that is the Westfalen trademark. With legendary sport horses serving as cornerstones of the breed, and a thoroughly modern, forward-thinking office, registry and marketing team parading the grand traditions into the future of sporthorse breeding - there's no better place for your breeding program to call home than the Westfalen NA/RPSI! Contact the Westfalen NA/RPSI office at 1-605-669-2200.